Barry M - Poppy*. This polish is truly gorgeous. 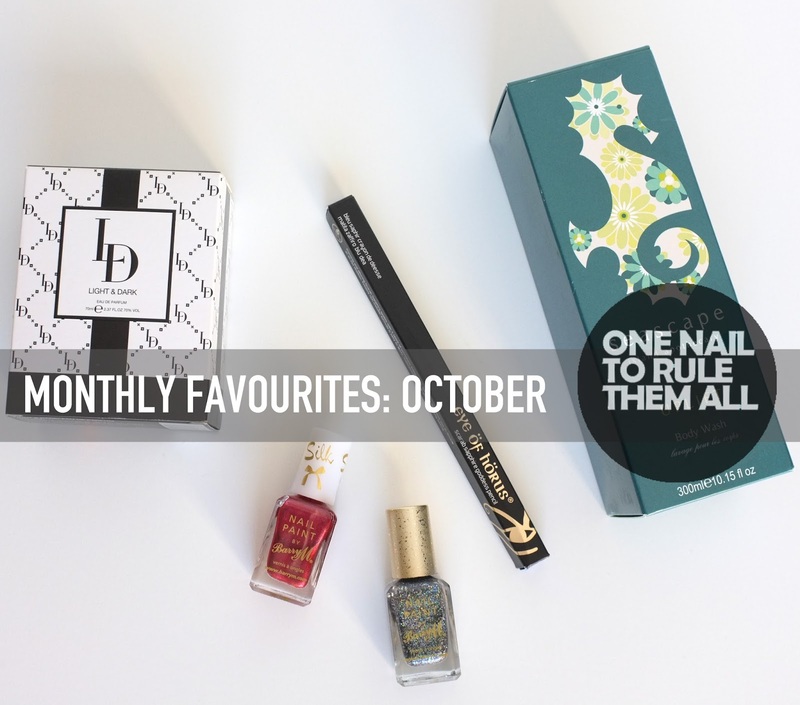 I loved the original silk collection that Barry M released previously but I am in awe of the new autumn collection, especially poppy. I have an influx of Barry M reviews heading your way this week so you'll be able to see this beautiful polish in all its glory. 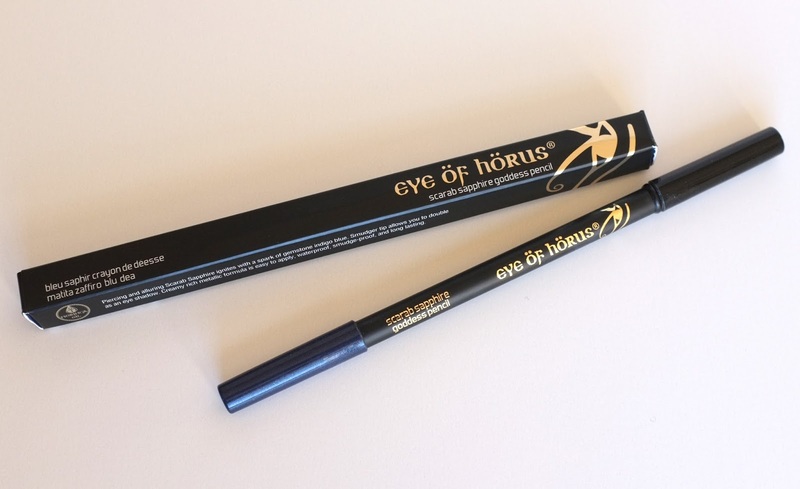 Eye of Horus - Scarab Sapphire Eyeliner*. I must admit I was a bit sceptical about trying out a blue eyeliner, I've always been a one-eyeliner kind of girl but I fancied a change and when this popped through my letterbox it seemed like the perfect opportunity. Now it's part of my everyday make up and I LOVE it. Leighton Denny - Light and Dark Perfume*. 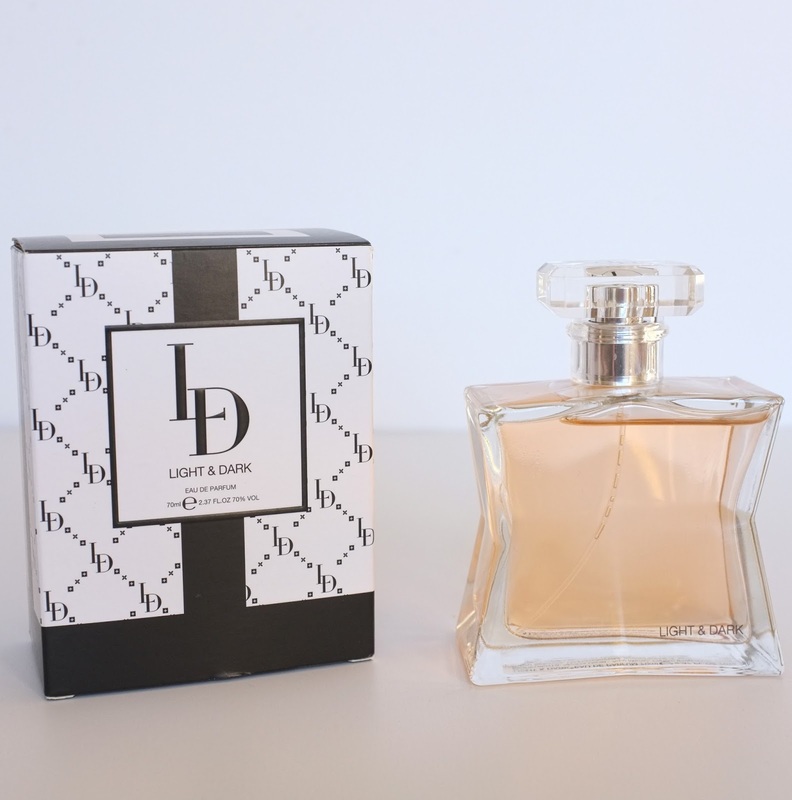 This is a new release from Leighton Denny and when I first smelt it I was unsure if I'd ever wear it, but it was a scent I quickly got used to and when I wore it out I got plenty of compliments. I'd say this is more of a nighttime perfume than a day one, for me at least, but it depends what you prefer! 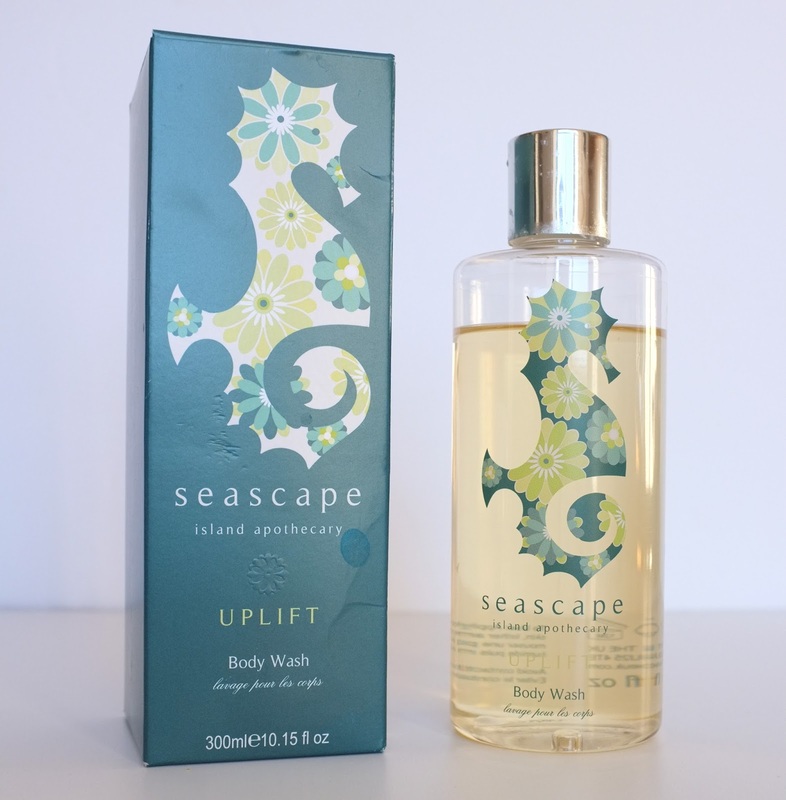 Seascape - Uplift Body Wash*. I have both the body lotion and the body wash from the 'Uplift' collection by Seascape and I love them both, but this is a definite favourite. It smells of lavender and it feels amazing. This is over a months use and it's barely gone down. It's also made using all organic products so I don't feel like I'm covering my skin in rubbish. What do you think? Do you own any of these products? Let me know in the comments! Barry M may just do the best polishes!